Quantification of above ex vivo flow cytometry data. TTC staining showing infarcts 24 hours following 60 min MCAO without or with preceeding ischemic preconditioning pulse. Stroke is the leading cause of serious long-term disability in the United States. Ischemic preconditioning (IPC) in the brain is a robust neuroprotective phenomenon in which a brief ischemic exposure increases resistance to the injurious effects of subsequent prolonged ischemia. 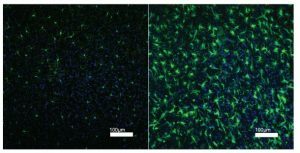 Microglia, the brain’s resident tissue macrophages, are primary mediators of neuroinflammation and are critical in the pathophysiology of stroke. 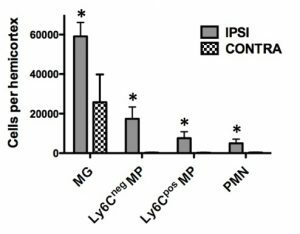 Mechanistic information on the function of microglia in ischemia is limited and the role of microglia in IPC is unknown. All projects in my laboratory focus on characterizing the role of microglia in both IPC and stroke. My laboratory uses both in vivo and in vitro experimental models of ischemia to study microglial responses. 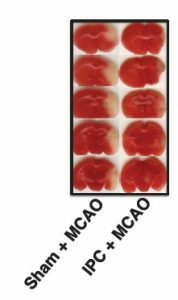 For our in vivo studies, we couple the mouse middle cerebral artery occlusion (MCAO) stroke model with ex vivo flow cytometric isolation of microglia from cortex. We then carry out cell targeted microarray analyses on the sorted cortical microglia. 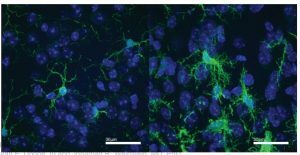 Using this approach we are able to compare the microglial response to IPC/ischemia in wild-type mice with that of microglia in selected knockout and transgenic lines. For our in vitro experimental paradigm we expose cultured primary mouse microglia to hypoxic/hypoglycemic conditions and then we monitor an array of experimental parameters. 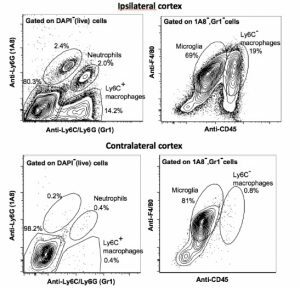 Our recent results have implicated both Toll-like receptor-4 (TLR4) and type 1 interferon (IFN)-stimulated genes as key mediators of the microglial response to ischemia/IPC. Both TLR4 and the IFN family of cytokines are recognized as key components of the innate immune response. Ongoing projects in my laboratory are examining how disruption of the TLR4 and/or type 1 IFN signaling pathways specifically in microglia can affect both IPC and stroke. 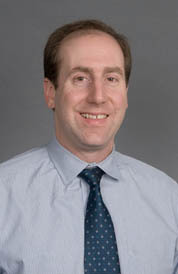 A primary goal of this research is to identify novel molecular targets for pharmacologic intervention in acute stroke.